Maybe you’ve heard it said before: one small positive thought in the morning can change your whole day. If that’s true, can you imagine how much good you can do if you made a point of thinking positive throughout your day? Of course, it takes training to adopt this sort of mindset, but I can tell you from experience that making positive thinking a regular part of your life will be a game-changer. Here are a few of my practical tips for thinking positive! How you start your day sets the mood for the rest of your day, so doing it the right way is important. We’ve all had days where, as soon as we wake up, we’re reminded of something embarrassing we did years earlier, or something that we’re nervous about happening in the future. Those sort of feelings stick with you the whole day long unless you do something to combat them early on, and that something is positive affirmation. It’s as simple as looking at yourself in the mirror, and saying something like ‘today’s going to be a good day’, or ‘today, I’m going to be the best I can be’ - even if you feel silly. You’ll find that this simple practice will help you to think more positively throughout the whole day! Contrary to popular belief, there’s really no such thing as a perfect day. There’s always going to be something challenging in your day that has the potential of ruining it. When you encounter those challenges, focus on the benefits, no matter how small they might be, and you’ll find that the situation is a lot less difficult than it seemed. For instance, maybe you have a classmate that gets under your skin every day: the benefit there could be an opportunity to work on your patience and practicing love for others instead of sinking into a negative outlook and souring your day. Face those challenges head-on, and you’ll strengthen your ability to make the most of hard situations. Negative self-talk is like this: ‘I’m awful at this, I won’t ever be better than what I am’. Not only is it negative, it’s also self-defeating, because it implies that change will never happen. Positive self-talk takes ‘I’m awful’ and turns it into ‘If I practice more, I’ll be way better at this!’. It’s honest about your own abilities, but realizes that you can change for the better. It’ll take some training, but try to be mindful of your negative self-talk, and work hard to turn it on its head. It’ll change your life! To err is human. Everyone makes mistakes, and everyone has experienced failure in their lives. It’s something that we all go through, but not everyone accepts a failure and learns from it. It takes an open mind to grow from failure, because you have to be open to changing yourself to do a better job next time. Maybe your science project bombed, or your speech didn’t go so well; try to assess where you went wrong, and take the constructive criticism your teacher might give you. Don’t focus on how you failed, but instead think about what you’re going to do differently next time. By doing this, you’ll be growing your character, your knowledge, and your abilities - all by the power of positive thinking! Surrounding yourself with positive people is like wrapping yourself in a warm blanket. You’ll hear positive outlooks, affirmations and stories, and their perspective will sink in and affect your own mindset. Finding friends and mentors who live a positive lifestyle will help you grow in your own path, and give you valuable insight on how best to think positive. At the same time, don’t cut out the people in your circle who may have negative points of view, as you might be the only positive influence they have. Do your best to improve the lives of others, and let their positivity affect you in the same way. While it may take some work, living the positive lifestyle is so worth it! When you start your day off right, you’ll be in an even better place tomorrow. What are some ways that you're thinking positive today? Share it with us in the comments below! Five Reasons to Find Your Senior Photographer Early! -Booking early gets you the best date possible: Just like a wedding venue, looking around early on and checking out all your options means that you're more likely to find what you're wanting. And, if you have a particular season (like the heat of summer or the pretty leaves of fall) in mind, then you'll need to book early on to snag the best dates. Booking early also ensures you will be some of the first to have your images done and ready to show off to friends and family. -Finding your photographer early makes sure that you're first: If you are trying a new prop, have an innovative idea, or doing something unique, you want to be the first one to do so! Instead of looking like you followed the trends of your friends, you will be the trend setter! They will probably want to follow in your footsteps, and they may even use your images as examples! This is great for the fashion-forward senior who wants to make a strong impression. -Booking your senior shoot early means you're ready for things that need photos: By doing your senior photos early on, you will be prepared for graduation announcements early, and have them ready to be mailed out on time. This also benefits you because your friends and family can get your invites and party invitations early and put them on the calendar. In addition, you will have gorgeous photos to use for job interviews, scholarship applications, headshots, or anything else you may need. If your school allows, you will also have your senior portrait ready for the yearbook that you'll treasure for years. -Finding your photographer early gives you time to save money: Knowing just how much your senior photos will cost (packages, products, etc) will give you a tangible amount to begin saving for or paying off. Sometimes, this means that you will be able to purchase more images and heirloom items than if you waited till the last minute, when your wallet and your expenses are tightened up. If you're not the one footing the bill, then it will give you time to help discuss the budget with your family, and decide how much to set aside. -Getting your photographer booked helps you plan your wardrobe: Knowing when and where your session is will prepare you for finding your awesome outfits. If you're a guy, you may not be too excited about this, but you definitely do not want to be looking for a cool outfit the day before your session by booking too late. Preparing for your senior session very early means you can find that "dream dress" and not worry about getting it in the mail in time, or needing alterations. As you can see, the earlier you book with us, the better! Contact us today to make it happen, and we will help you find the best time available! Get a great planner; Since nearly everything is digital these days, you might think a paper planner is a bit outdated, but studies show that writing something down helps you retain the information. We love the Life Planner ones by Erin Condren, because they are so pretty and useful, but there are other more affordable options as well that are under $5 (we found some at Walmart and the dollar store). Pick up some highlighter markers as well, so that you can color code events, deadlines, and more. Get a mentor: Yes, your parents or guardians are an invaluable resource and support, but it also helps to have someone who has recently gone through senior year. Find a friend or support person who has graduated in the last few years, and who is wiling to answer your questions and guide you through the process and the things you may need to do. If they're willing, try to meet them for coffee or lunch a few times during senior year to help keep you on track and listen to ideas or offer advice! Start pinching pennies and buying things you'll need: It's really tempting to put off a budget or purchases for college until senior year is over, but spreading things out will help even out your expenses. We recommend making a large list of things you'll need for college, and buying an item here or there, when you can afford it. You'll be well on your way to everything you need, by the time your senior summer starts. Some starter items would be: iron and mini ironing board, storage bins, bed risers, laundry hampers, and under the bed rubbermaid containers! Exercise: That freshman fifteen is real! So, staying healthy leading up to your first year in college is really important. Your body will be conditioned to stay fit and help keep your weight in a healthy range. It is also great for your metabolism to exercise, even through the stress of such a busy year. Try getting a buddy to begin running with you, or try to walk every morning before school. If that's too early for you, you may consider joining a gym that has a student discount, and setting aside time to go each week. Plan those college trips early on: You can often view colleges and learn about them, early on in senior year, and avoid missing important school deadlines as well. Contact each of your prospective schools and find out when their available dates begin, and plan them out with your parent or guardian. Don't forget to request time off work if you currently have a part time job! These ideas should help you prepare for a senior year filled with less stress than your classmates, and set you up for success! 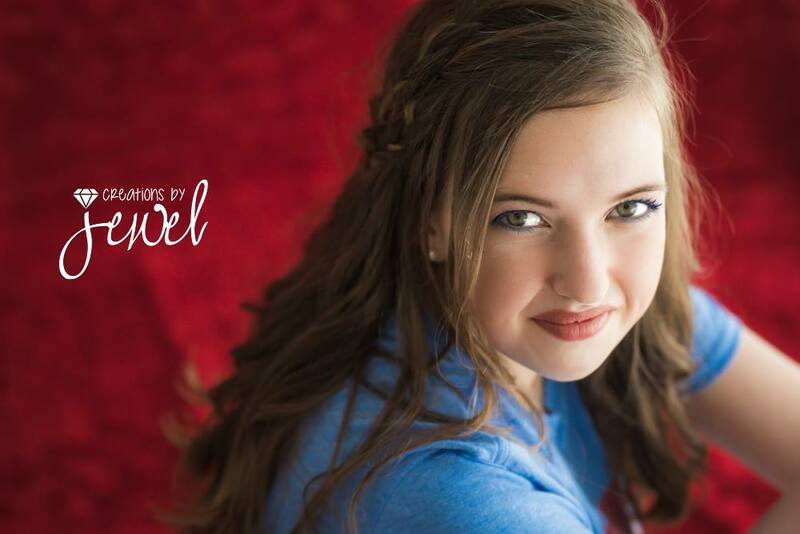 Don't forget to come back to the blog for more advice on handling junior and senior year, and how to document those important years with Creations with Jewel!